Pharmaceutical stocks which were once the pride of the portfolio have lost much of the sheen in recent years. Pricing pressure in US and Europe coupled with increased competition have led to downturn at a industry level. In midst of this, there are few firms which are making new highs. One among them is IOL Chemicals and Pharmaceuticals Limited (IOLCP). 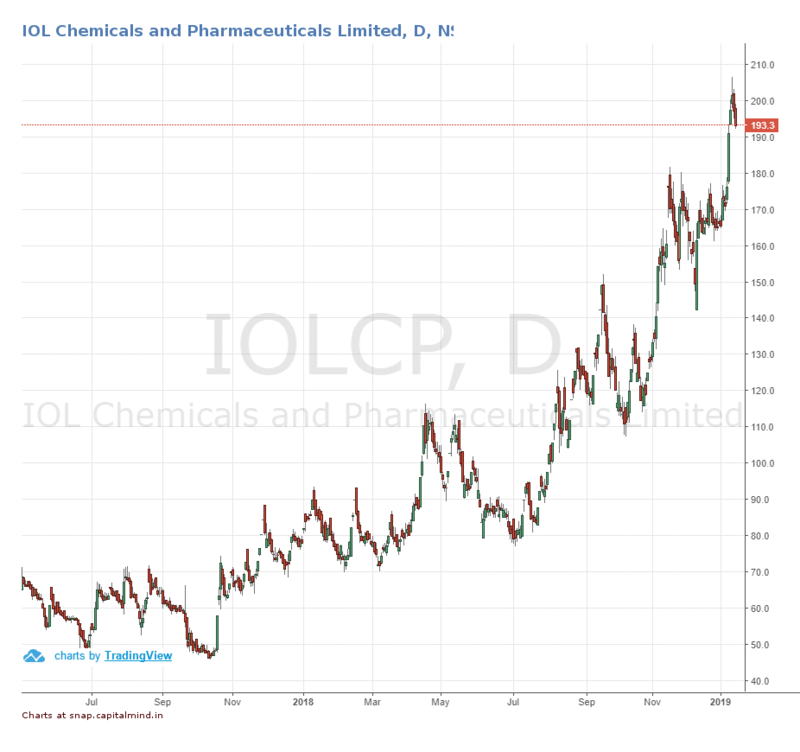 IOLCP which started in organic chemical space and steered itself towards generic pharmaceuticals. Currently IOLCP operates under two verticals Speciality Chemicals and Active Pharma Ingredients. Below are the list of chemical produced by IOLCP. IOLCP speciality chemicals find wide use in printing, paints, plastics, automobile coatings and textiles. Some of its speciality chemicals like Iso Butyl Benzene acts as raw material for Ibuprofen. Ethyl Acetate (Solvents) : Used as solvent for high resolution printing inks, lamination adhesives and flexible packaging. Iso Butyl Benzene (Petrochemicals): Used for in house use and direct sale. Key component of Ibuprofen. Apart from the above, IOLCP has commercialised 6 APIs and nearly 10 APIs are under development. 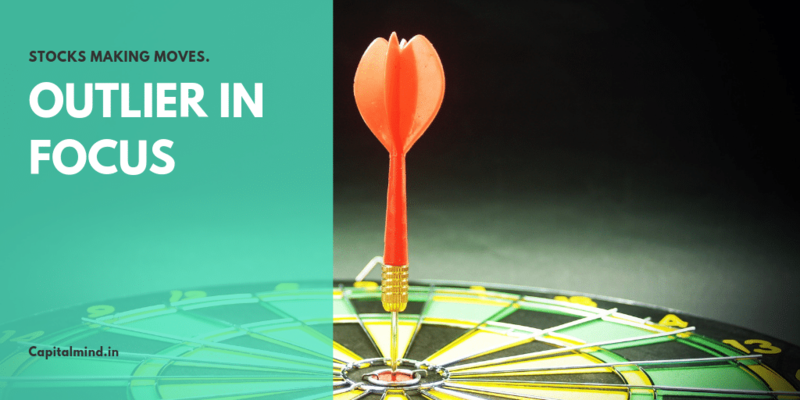 IOLCP is a major player in Ibuprofen manufacturing, accounting nearly 30% of global capacity. IOLCP has world’s second largest Ibuprofen manufacturing facility and is only company that has backward integration. It has recently de bottlenecked its manufacturing facility and has increased the capacity from 7200 TPA to 10,000 Tons per Annum. Company has set up third manufacturing unit to expand capacities for Fenifibrate, Clopidogrel Lamotrigine by investing 17 Crs. IOLCP has also set up fourth manufacturing plant for Metformin with an 2880 TPA capacity and capital outlay of 10 Crs. The Ibuprofen manufacturing facility is USFDA approved and has CEP, EUGMP and WHOGMP accreditation. IOLCP started its business with Ethyl Acetate production and is one of the largest producer in the world with 87,000 TPA. Its Iso Butyl Benzene has global market share of 30% and is key ingredient for manufacturing of Ibuprofen. IBB capacity is at 9000 TPA. Its Mono Chloride Acetate and Acetyl Chloride capacity are at 7200 TPA and 5200 TPA respectively. In second half of FY18, IOLCP decided to increase its capacity over a span of two years with an capital outlay of Rs 200 Crs. The capital outlay will be combination of loans, internal accruals and equity. Acetyl Chloride from 5200 TPA to 8400 TPA. Currently Ethyl Acetate plant is running at 50,000 TPA capacity and will be slowly increased to 70,000 TPA in coming quarters. IOLCP customers are spread across 50 countries including Brazil, China, Hungary, Russia etc. The company has clients who cater to pharmaceuticals to paints industry. Pharma players like Strides and Granules import raw material from IOLCP for Iburofen manufacturing. 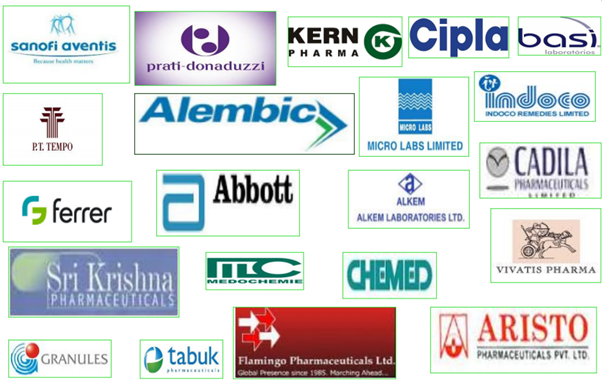 Some of other names apart from the below listed clientele is BASF, Sun Pharma, Dr Reddys, Uflex, ITC, DIC, Nectar Life, Sinochem Pharma, ICI Paints, Avon Organics, Asian Paints, Hindustan Polyamide etc. Ibuprofen prices last year increased by 20-25% due to Plant closure by BASF which is a major manufacturer of Ibuprofen . 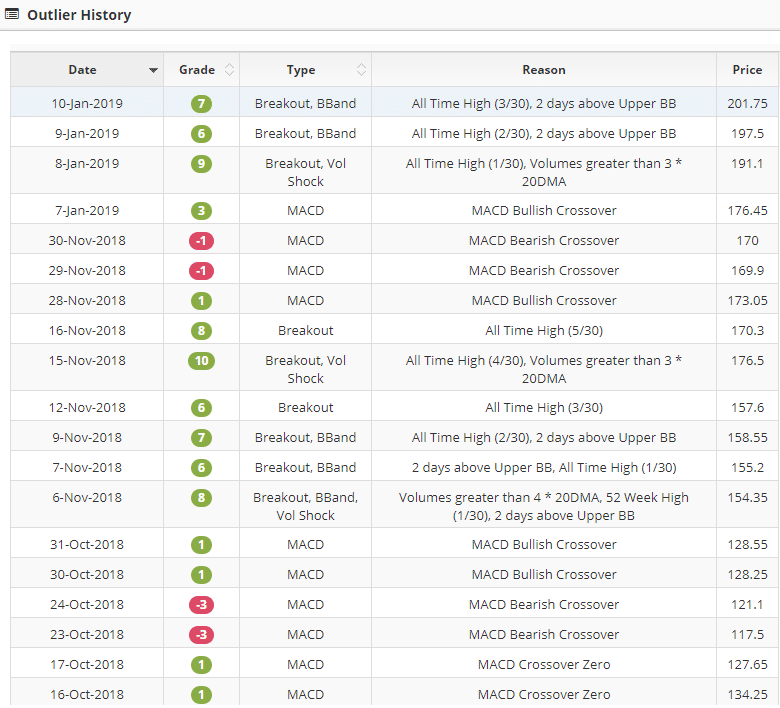 With no capacity addition happening globally, prices have tightened due to supply demand mismatch . At the end of FY18, the demand for Ibuprofen was for nearly 40,000 TPA and the global capacity was at roughly 35,000 TPA. BASF which used to buy API from IOLCP setup a Ibuprofen plant in Germany last year. The plant is located at Bishop, Texas and has a capacity of 5000 TPA. At the start of first quarter BASF plant shutdown due to technical reason, taking away almost 1/6th of global production capacity off grid. This has resulted in ibuprofen prices going up by almost 25% – 30%. BAF has planned a mega plant for Ibuprofen which is going to come live on 2021. Codeine which is a ingredient in pain relief medications has been taken off as OTC drug in Australia in early FY19 and has been moved to being a prescription drug. This is currently applicable in Australia where nearly 100 deaths every year due to overdose of codeine content drugs. The alternative pain relief medications that are available over the counter are paracetamol/ibuprofen combination drug and this in turn has also meant a uptick in demand for Ibuprofen. Revenue has grown at a CAGR of 17.26% over a period of last 13 years. Much of the revenue growth came post 2015 thanks to IOLCP going for capacity expansion. At the current juncture management has given a top line growth of 35-40% for next two years. US client contribute only 1% of the revenue. The management wants to expand its footprint going forward by adding new clients. The target for next year is 10% of revenue coming from US. IOLCP is also planning to renegotiate old contracts and expand into new geographies and new clients. Profit have grown at a CAGR at 21% in last 13 years. Once agian, growth came post FY17. FY15 and FY16 reported a negative profit due to higher finance cost and higher depreciation owing to commissioning of new plants. IOLCP margins have been consistent at 13%. Management is comfortable at this margins and are hoping to see further margin expansion post the recent rise in Ibuprfoen prices. Management had given a profit growth of 100% for current year, which they almost achieved in first half of the year. IOLCP has a debt of over Rs 350 Crs, out of which nearly 33% is working capital. IOLCP will be reducing its working capital requirement going forward and simultaneously reducing term loans by Rs 40 Crs by next year. Promoters hold 41% stake in IOLCP. Mutual Funds have a minute 0.02% stake. Vasudev commercials own 19.38%, Trident Limited 3.18% and G Consultants and fabricators another 2.65%.